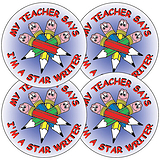 A handy A5 sheet of 35 stickers, each is 20mm x 20mm and has a homework theme. 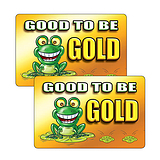 Designed with that bit more of a grown up feel these stickers are great for exercise books and diaires. 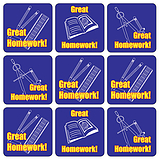 Homework Tips - Click here for some great homework habits.